This year, the Bertrand Russell Society held its annual meeting June 22-24 at McMaster University in Hamilton Ontario. Next year (2019), the Society’s annual meeting will be held at the University of Massachusetts in Amherst, MA. Start planning to attend now! In 2017, the BRS held its annual meeting on June 2-4 at Central Connecticut State University. In 2016, the annual meeting was held June 24-26 at St. John Fisher College in Rochester NY. Rick Lewis, editor of Philosophy Now, was keynote speaker. Students! The Russell Society invites submissions for its annual Student Essay Prize, for best new paper on Russell by an undergraduate or graduate student. See details here. The 2017 winners of the Bertrand Russell Society Book Award are Tim Madigan and Peter Stone (eds.) for their fine collection of essays, Bertrand Russell: Public Intellectual. 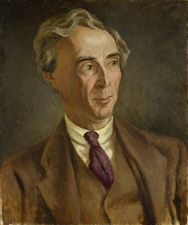 Another collection of essays on Bertrand Russell's relevance today as a public intellectual, Bertrand Russell’s Life and Legacy, has been edited by Peter Stone and is due out this month. The British newstand philosophy magazine, Philosophy Now, devoted it's June/July 2017 issue to Bertrand Russell. This special issue has articles about Russell on passion, on logic, on the value of philosophy, and on the widespread lack of rationality among humans. The winners of the 2016 BRS Book Award are Donovan Wishon and Bernard Linsky for Knowledge, Acquaintance, and Logic: New Essays on Russell’s Problems of Philosophy. Other past BRS Book Award winners are Gülberk Koç Maclean (2015) for Bertrand Russell’s Bundle Theory of Particulars, John Ongley and Rosalind Carey (2014) for Russell: A Guide for the Perplexed, and Jolen Galaugher (also 2014) for Russell’s Philosophy of Logical Analysis. Here is a list of forthcoming books on Bertrand Russell and his life and work. The site is maintained by the Bertrand Russell Archives at McMaster University. And be sure to visit the online Russell Society Library, where you will find an extensive collection of works by Russell available for online viewing (and many videos of Russell in the members area). New at the Society Library is a complete bibliography of Russell's writings. For a nearly complete list, with links, of the very best books on Russell’s philosophy, see our list of the Bertrand Russell Society Book Awards. Finally, the Russell Society’s Bulletin is also online.